- Apollo's Lyre is launching its new site and new issue in June 2009. Calls for submissions now open. - Came in 4th in the Most Influential Women in 2009 to follow. - In the 20 nominations with some remarkable women for The Most Influential Women in 2009 to follow. The top ten will be announced later in January. Stay tuned and link to http://katrinawampler.wordpress.com/ to find out the latest scoop. - Got my own BlogTalk Radio Show: The Writing Jungle - where the lions and tigers and bears...oh my!...are the authors and editors and publishers of the writing world. Click on my homepage for more information. picture book Libby the Odd Squirrel. Publication is set for 2010. Stay tuned for more info. the Montreal Children's Hospital Autism Clinic. The event raised $33,000. - November 1st Litsa and I greeted and met over 200 people at Lululemon to launch our Autism Awareness Campaign. Check out our Shaking the System blog and Website for more info. - interviewed by three newspaper journalists for the upcoming book I am co-authoring, Autism Epidemic: Shaking the System. http://www.theautismepidemic.com We were honored to have been in touch with Senator Jim Munson, an advocate for families with children who have autism. He accepted our invitation to speak and attend the Gala with us. - The Writing Jungle - I began posting all about my life and writing career to help mom writers with children get a glimpse on how I organize, stress, yell, and everything else that comes with this territory in order to show them if I can do it ( a mom with five kids) they can. - Hollywood Experts, edited and compiled by Marilyn Peake, and featuring one of my own articles in this book, won the 2007 Silver Foreword Magazine Book of the Year awards. - Twisted Tales: Volume II: Book I features my "The Librarian Who Wasn't" short story. The anthology was a finalist in the 2008 Eppie Awards. - The anthology, "The Enchanted Fairie" will be published by TWRP, White Rose Publishing. 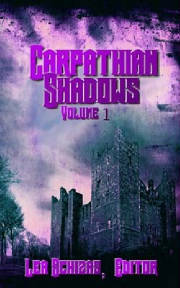 My story, Night of the Gray Sky is one of six stories in this anthology. for Nonfiction Column/Zine. These awards came from the Preditors and Editors Readers Poll hosted in January 2008. - My middle grade chapter book, Bubba and Giganto, is presently with a publisher. More details to come as they come. Katie and Robbie will be published by Living Waters Publishing. ~ Pen Pricks Magazine published my 55 word flash fiction in October 2007. ~ The 2007 Muse Online Conference was held and it was another bit hit. Last year we had 1286 who registered; this year - 1938.
you'll get to read an interview with me conducted by Jean Lauzier from WOW, Women On Writing. Really cool and the emphasis is on our conference. 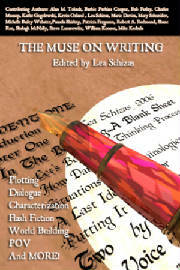 - My article, "Move Your Plot with Dialogue" will appear in the August 2007 issue of The Writer Within Newsletter. - "Doorman's Creek", a paranormal thrileer, published by eTreasures and available in both print and ebook formats. 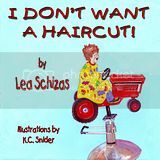 Ebook released February 1st, 2007 for only 4.00US. ~Flash fiction, "Modification...Again!" published in the January issue of Flash Tales Magazine. FREE ebook for everyone at the end with loads of goodies. ~Now Available: 'Cassiopeia' flash fiction by Lea Schizas in anthology published by Purple Pen "The Other Side of the Doorbell"
and can be purchased via Purple Pen or Amazon.